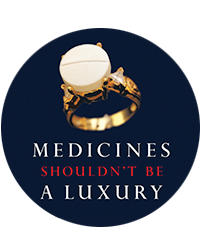 Nearly 30 US-based groups concerned by unaffordable medicines, including MSF write to the US Secretary of Health and Human Services Alex Azar, calling for increased transparency in the biomedical innovation system. In addition to price transparency the groups called for greater transparency on costs of research and development (R&D), costs of manufacturing, intellectual property monopolies, clinical data and trial protocols, and registration plans. Among other areas, transparency on these issues can enable improvements to and design of more effective innovation policies to deliver the products that people need in America and globally. The groups noted that "U.S. elected officials, many Ministers of Health, experts and civil society groups around the world are working to advance solutions that seek to mitigate and ultimately end the tradeoff between access to the lifesaving medicines people need today and the incentives to deliver the innovations that could save lives in the future." They further called for the U.S. "to embrace these efforts and consider working together with other countries to ensure all patients benefit from a biomedical innovation system that delivers the affordable medicines we all need."